So here I present the last of the major trend from Winter fashion- Plaid! 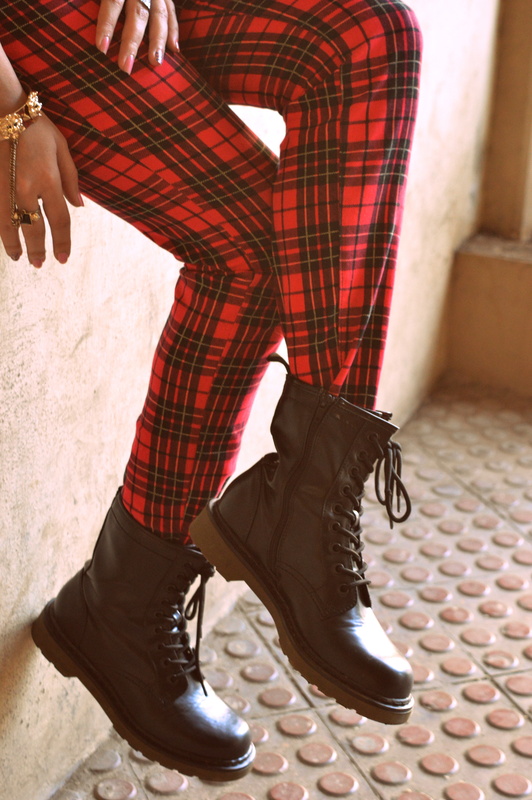 If you are a Street style junkie then team your combat boots with shorts, pants, short skirts & even a bodycon dress! 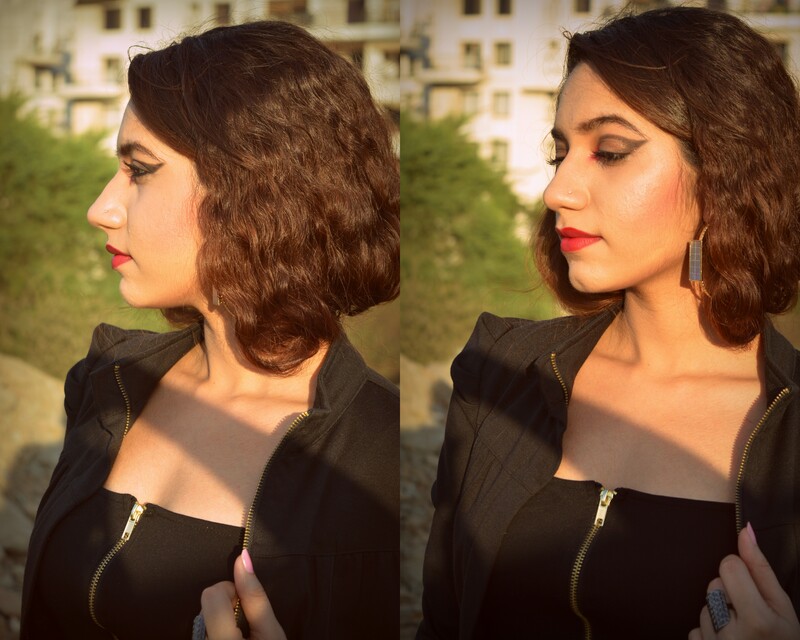 To give the look a grunge feel done some fashion eye makeup! 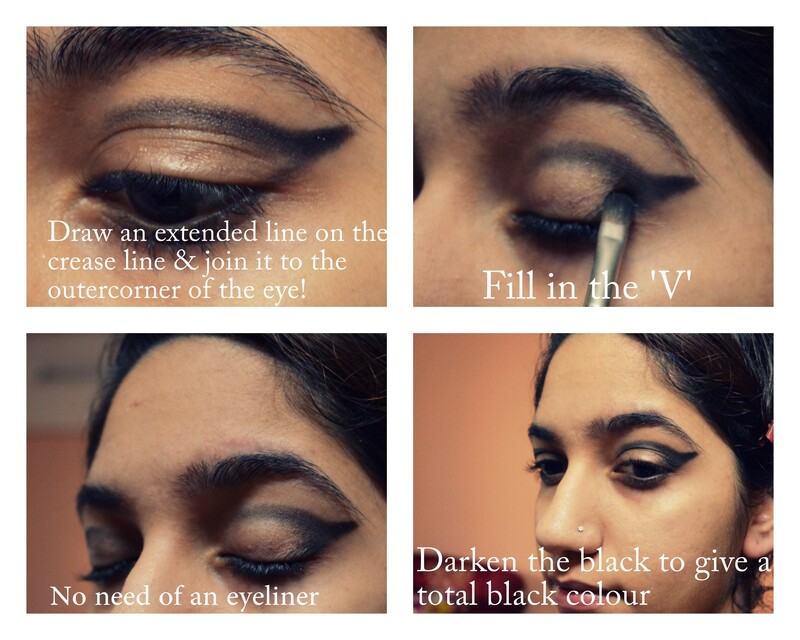 Just simply created a ‘V’ with black on the outer corner of the eye & drawn it extended till the eyebrow. Summer time is here so go short with those tresses. Nows the time! Watch out for alot of Spring-Summer madness with hair, makeup & fashion on TSC. Hi! Loved the look! And those combat boots are lustful!